Time does fly when you’re having fun, but before you realize, the mirror is showing you brown spots, fine lines and wrinkles that you are sure were not there yesterday. 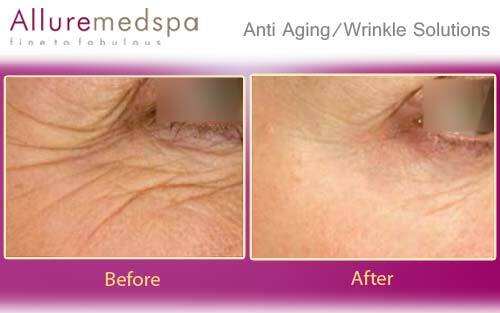 Allremedspa’s Anti-wrinkle treatments can’t turn back time, but they help you stop worrying about the effects of it by begetting a marked improvement by helping reduce wrinkles. Age and sun exposure are the two main factors in the appearance of lines and wrinkles, pigmentary changes and change in facial shape and appearance. 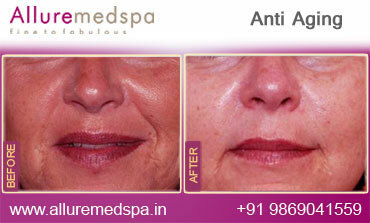 Wrinkles appear with ageing and may be exacerbated by loss of facial fat and over-active facial muscles. When considering treatment, the first thing the Dermatologist will look at is whether your wrinkles are static or dynamic. Dynamic wrinkles are those that are only there when you smile or form an expression while static wrinkles are present at all times. 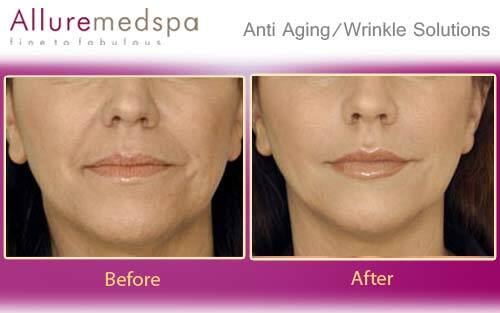 Static lines are generally treated with dermal fillers while dynamic lines are treated with anti-wrinkle injections. The treatment for dynamic lines is done with a tiny needle which sometimes has several pin-prick feelings. The treatment only takes a few seconds so the procedure is easily tolerable for most people with some having no discomfort at all. On some occasions patients may have a small pin-prick bruise that is coverable with makeup and may last a few days. Dermal fillers such as Juvederm, Restylane are very popular, quick injectable treatments that can soften facial wrinkles, lines and fill out hollows to recreate the smooth contours of younger skin. Dermafillers are injected directly into the dermis layer of the skin in small amounts by an ultrafine needle. Fillers are used in the treatment of fine lines around the eyes, mouth and for restoration of lost lip volume. Collagen and elastin make up the support structure in our skin. As we age that support structure weakens and wrinkles. Laser wrinkle treatment uses powerful cynosure laser to renew the skin by stimulating collagen and elastin production. It works fast to minimize wrinkles and improve the skin on your neck and cheeks, smooth away fine lines around your mouth, and even reduce wrinkles and crow's feet around your eyes. Unlike surgical face-lifts that require long recovery times, laser wrinkle treatment is a nonsurgical alternative that has less downtime allowing you to recover in as little as a few days with minimal discomfort or side effects. Laser wrinkle treatment smoothens your skin without changing your looks. You look like yourself - but with more youthful-looking skin - and without the facial changes and side effects that can be associated with surgical face-lifts or injections. Laser wrinkle treatment uses powerful cynosure laser to renew the skin by stimulating collagen and elastin production. Dermal fillers integrate natural collagen, in different ways and varying specificities in relation to different areas of the body and help crease out wrinkles. Filler injections may seem like a simple procedure, since it's just a few shots. But it's actually both an art and science that only an experienced healthcare professional should do. 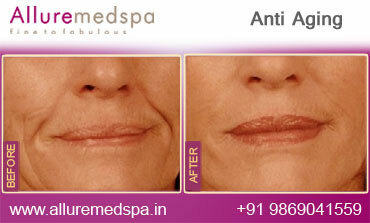 Anti-Wrinkle Treatment is a personalized treatment that is tailored to the individual. To preserve the uniqueness of every client aesthetically, we offer each patient a customized plan to cater to his/her unique face and issues. There is little to no downtime after receiving dermal filler treatments.On some occasions patients may have a small pin-prick bruise that is coverable with makeup and may last a few days. Depends on the treatment opted for and areas to be treated. 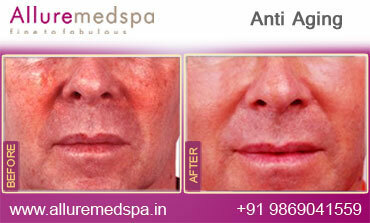 Filler treatment needs to be repeated at six to nine monthly intervals.